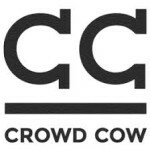 Crowd Cow is an online service through which you can shop for the finest beef straight from the farm of your choice. You can pick a farm, choose a cow and go for the cuts or quantities you need. You can buy the exact quantity and the precise cuts directly from the farm and the meats would be delivered to your doorstep. There are independent farms producing high quality and healthy meat. You can choose hormone free meats, dry aged meats and premium beef such as Wagyu. The company also deals in pork, chicken and turkey. The website has recipes, cooking techniques and thawing instructions.